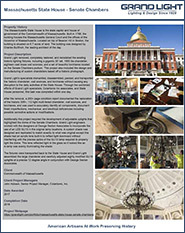 The Massachusetts State House is the state capitol and house of government of the Commonwealth of Massachusetts. 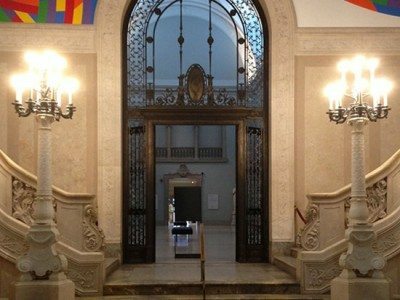 Built in 1798, the building houses the Massachusetts General Court and the offices of the Governor of Massachusetts. 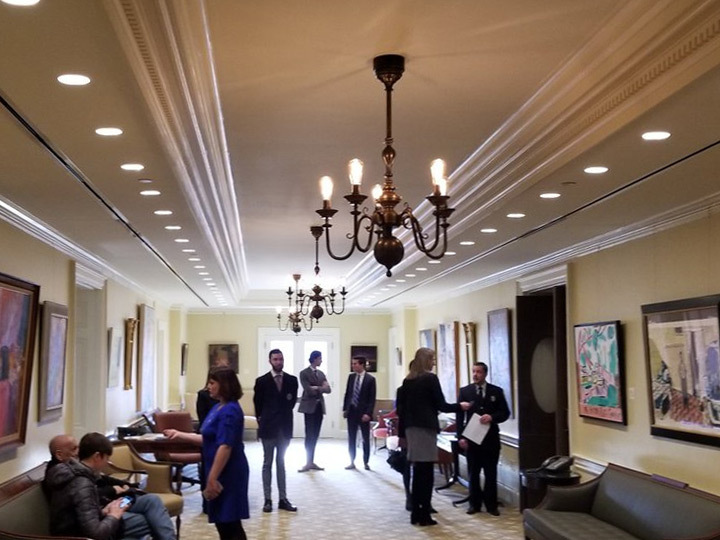 Located on top of Beacon Hill in Boston, adjacent to the Boston Common on Beacon Street, the building is situated on 6.7 acres of land. 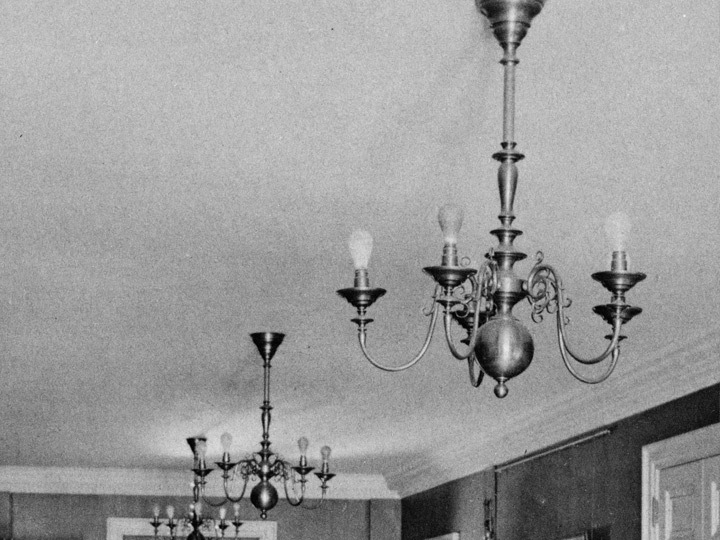 It was built on land once owned by John Hancock, Massachusetts first elected governor, and was designed by Charles Bullfinch, the leading architect of the day. 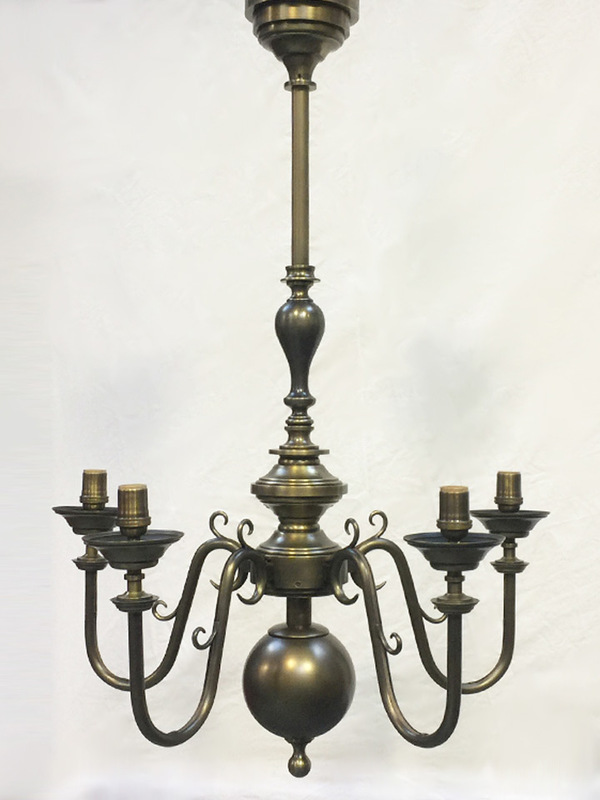 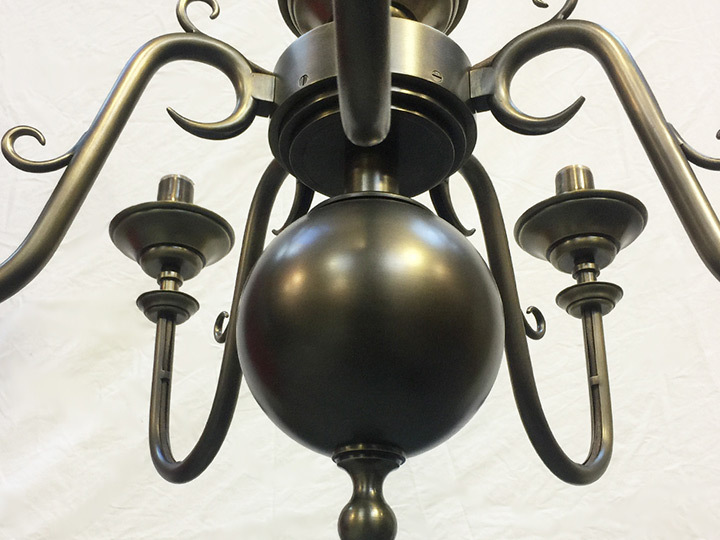 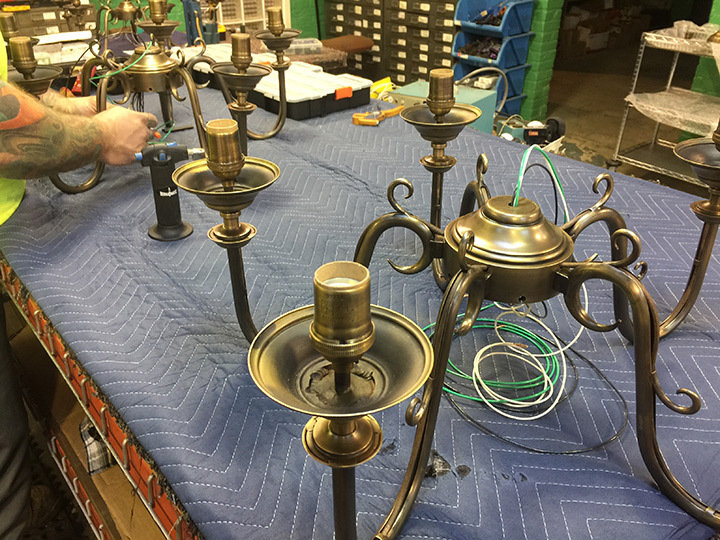 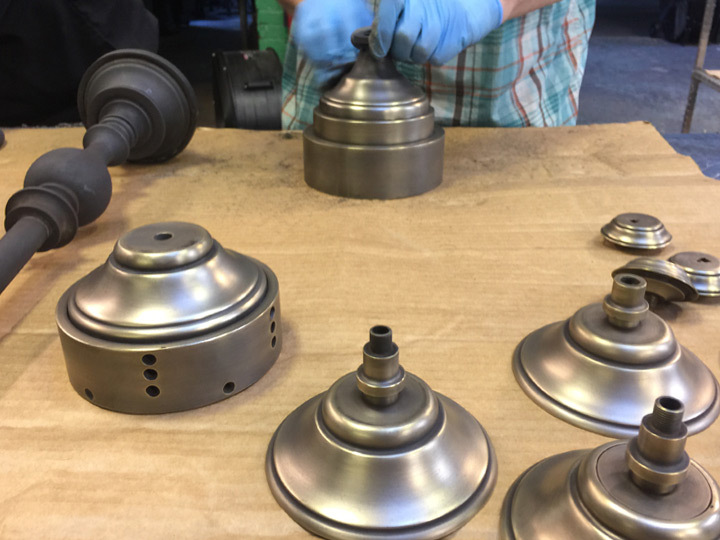 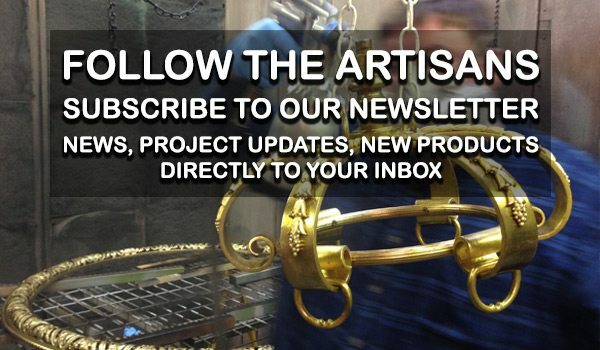 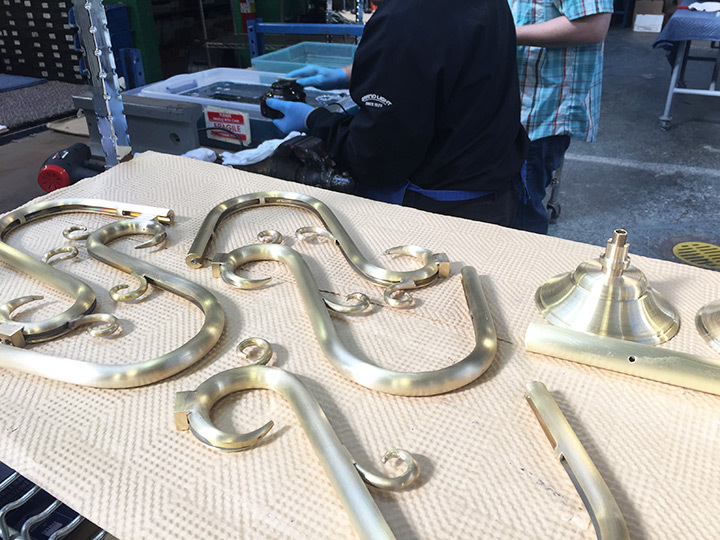 Grand Light designed and fabricated custom chandelier replications based on a historic photograph for the Senate Chamber renovation project. 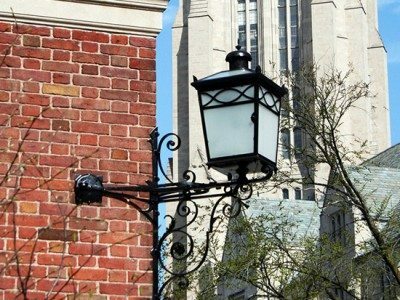 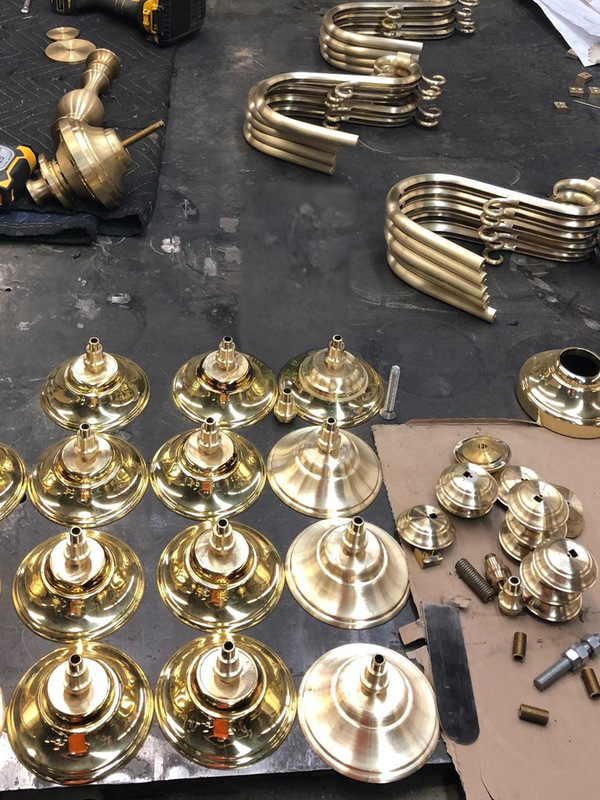 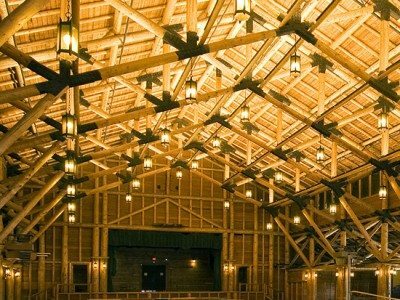 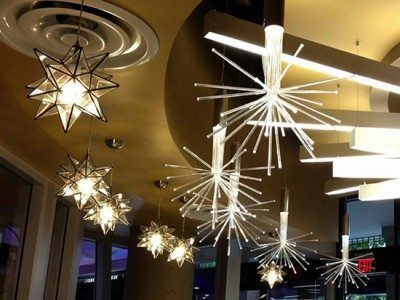 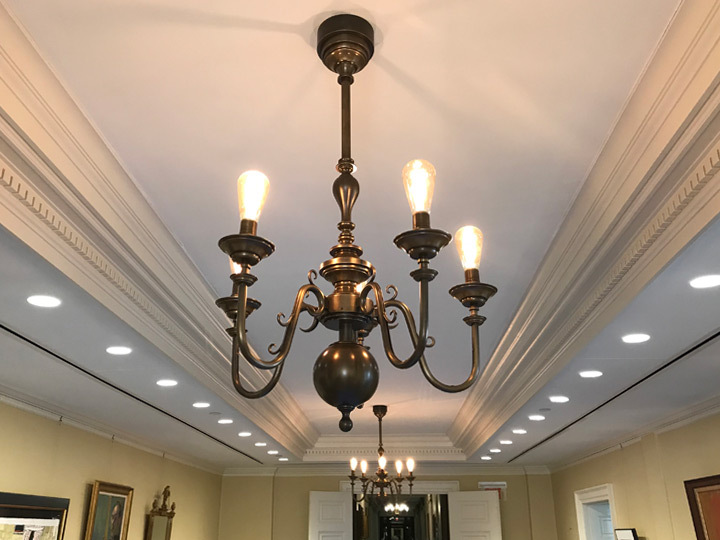 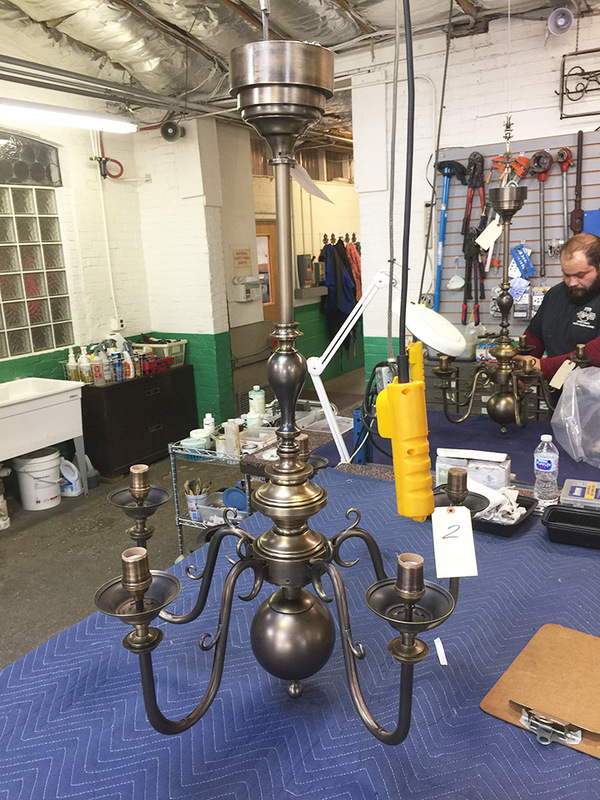 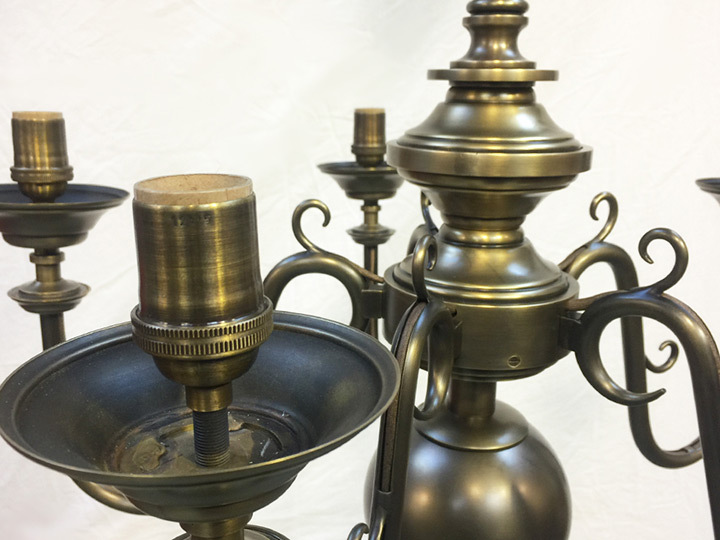 In addition to these custom chandelier fabrications, the project required the restoration of historic lighting fixtures ranging from a large 30ft+, 112 light multi tiered chandelier, to wall sconces and podium torchieres.